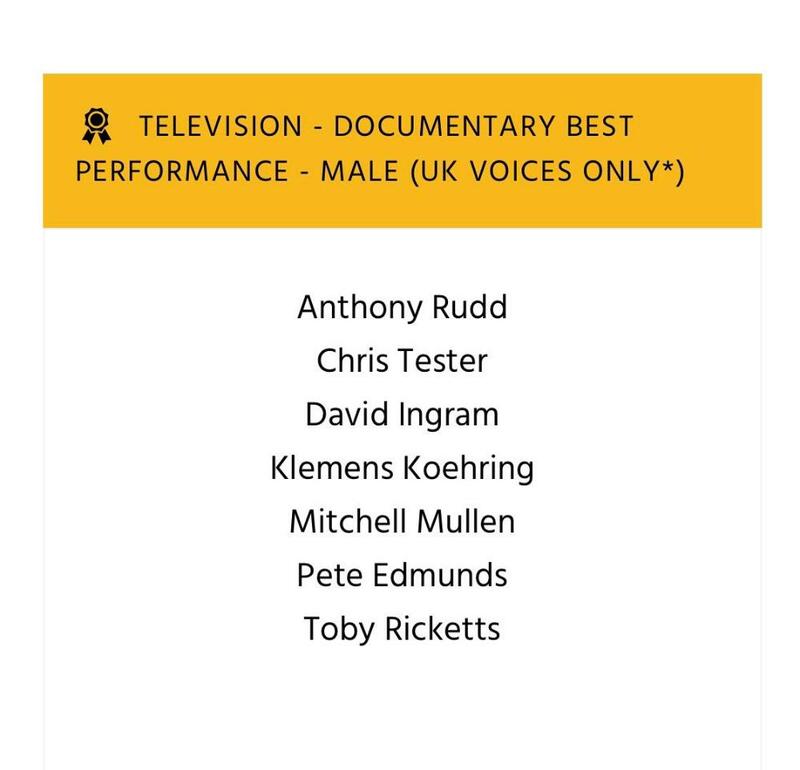 Welcome to the official website of London-based German-British actor, voiceover artist and presenter Klemens Koehring. Fully bilingual in German and English, Klemens has 13 years of professional experience across a wide range of screen, stage and voice work. 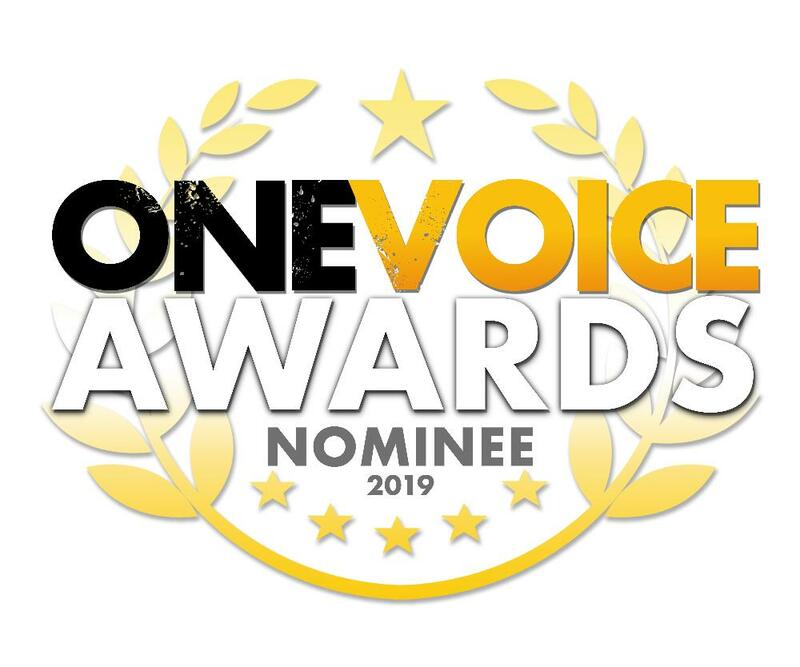 Klemens has been nominated for Male Voiceover Artist of the Year, Best Male Gaming Performance (for his work as Poe in The Shapeshifting Detective) and Best Male Television Documentary Performance (for his work as Gottlob Bidermann in Nazi Megastructures) at the 2019 One Voice Awards. The awards show will be held on 11th May 2019. After growing up in Germany, Klemens spent his formative years in such diverse places as North America, Southeast Asia and the United Kingdom, where he graduated with a First Class BA Honours in Media Performance from the University of Bedfordshire and went on to train in the Michael Chekhov Technique with Graham Dixon and Sarah Kane. He obtained a Diploma in Voice-Overs from the London Academy of Media, Film & TV and undertook further acting and voice training with the renowned coaches Dave Fennoy, Dian Perry, Yvonne Morley and Stephane Cornicard. In addition, he received presenter training with the TV Training Academy at Pinewood Studios. His recent acting roles include the sophisticated yet eccentric radio host Poe in the criticially acclaimed full-motion video game The Shapeshifting Detective and the episode lead of Gottlob Bidermann in TV docudrama series Nazi Megastructures: Russia's War on National Geographic Channel. Both productions enabled Klemens to combine his skills as a screen actor and voice actor as he had a mix of live-action and voiceover scenes in both roles. 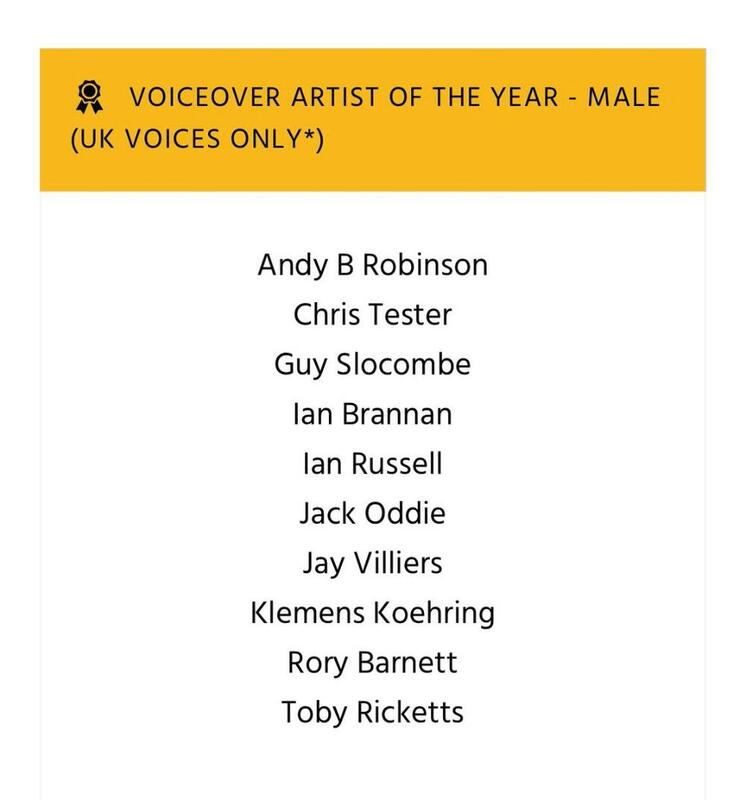 In March 2019, he was nominated for Best Male Gaming Performance and Best Male Television Documentary Performance for his voice work in both productions at the 2019 One Voice Awards. Klemens' screen acting roles also include the lead character of the German Pilot in Dying Light (which was the opening film of the 2017 Cardiff International Film Festival, where it was nominated for Best Welsh Short Film), the character of Chief Pathologist Dr Wild in the feature-length horror drama Molly Crows (which was awarded Best Drama at the 2013 Portobello Film Festival), and the character of Tybalt in the music video Babyfoot Romance (which won Best Music Video at the 2015 Limelight Film Awards). As a screen presenter, Klemens has worked on TV commercials (for SelectSpecs Germany) as well as online/corporate videos (for a wide range of clients such as Hewlett-Packard and Deb Group). Moreover, he has been the live presenter of events at prestigious venues including the BFI Southbank, the Royal Academy of Arts and Standpoint Gallery. 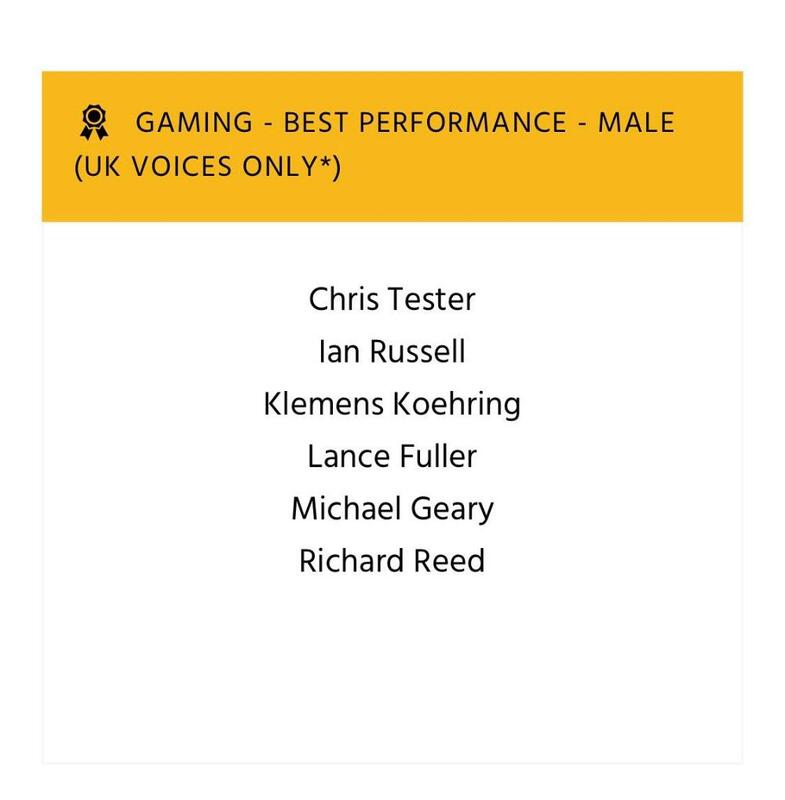 In addition to his extensive voice work in video games (which also includes the second, third and fourth instalments of the award-winning and UK-chart-topping Sniper Elite franchise, the fourth instalment was nominated for a 2018 BAFTA Games Award in the "Best British Game" category) and documentaries (which also includes TV series for such channels as Discovery and History), Klemens has voiced a wide range of other high-profile productions including TV & online commercials (for regular clients such as Duracell, Skechers, PokerStars, Dell, Cartoon Network, Disney, Nickelodeon, MTV) and audio guides (for such iconic attractions as St. Paul's Cathedral and the Guinness Storehouse). On stage, Klemens has played such varied roles as Paris in Romeo and Juliet at The Windsor Globe, Banquo in Macbeth at The London Theatre, Pasha Selim in the Mozart opera Die Entführung aus dem Serail at West Green House Opera, the lead character of Sigmund Freud in the dark comedy Hamlet in Session with Sigmund Freud, Colonel Stolzmann in the musical V for Victory at Stockwell Playhouse, and Sir Walter Raleigh/Prince Ludwig in Blackadder II at The Hexagon.